After some googling around I discovered that Yahoo! have now increased their security so things have changed. 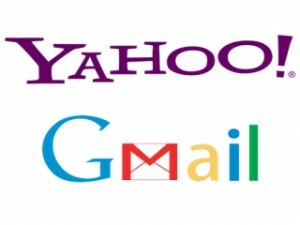 I used to use the Gmail SMTP as the mail server to send emails using my Yahoo! account. This used to work. I have now corrected the problem to use the Yahoo! SMTP servers. The username is the part of your Yahoo! email address before the @, and the password is just your Yahoo! password. Port 465. You should now be able to send emails in Gmail as if they were coming from your Yahoo! email account. This saves you having to login to Yahoo!